Christmas is nigh and my wish list is rapidly growing. 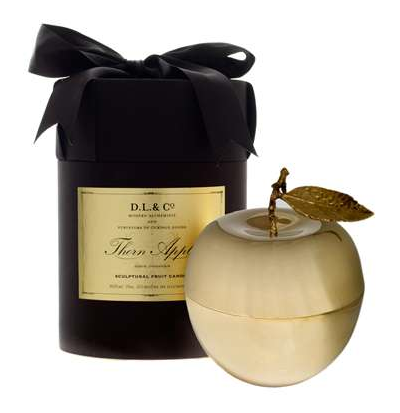 This week it is Le Pomme d'Or by D L & Company , a golden apple sculpture filled with the crisp and verdant Thom Apple fragrance. After reading today's post on Garance Dore I was reminded of this intriguing object I came across last year during a visit to Harvey Nicks . It was lust at first sight . There is something so very mythical about a golden apple . So if anybody close is paying attention , now you know what to get me!